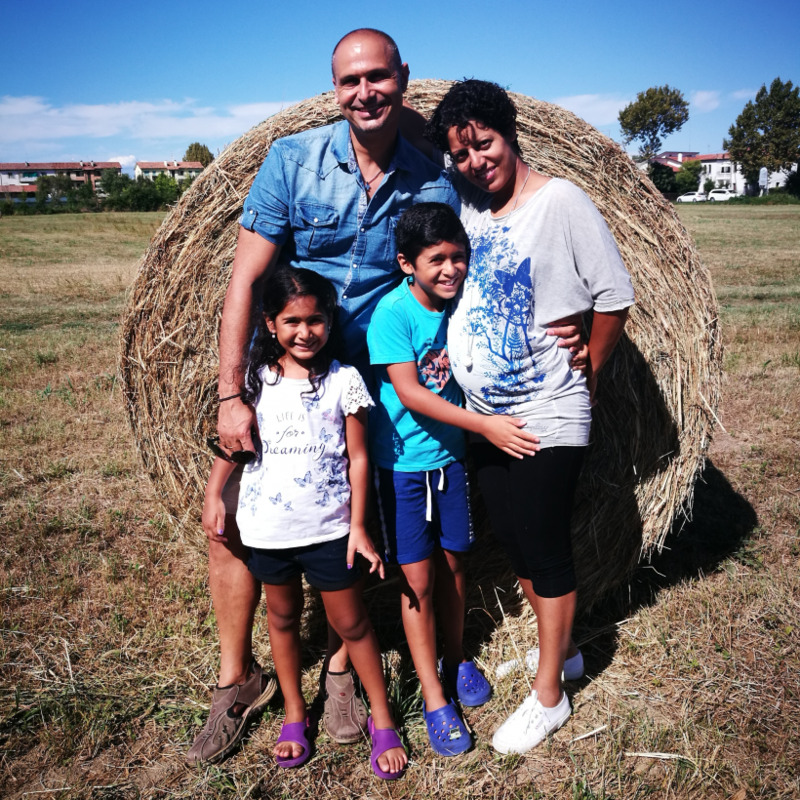 - Host mum is 37 years old, originary from India but lived majority of my life in Rome. - Host das is 44 years old, he drives trains here in Italy, he loves soccer, he is a good cook and above a great das. - Vincent, 8 years old. He loves math, strategy games, board games and to learn in general. - Isabel, 6 years old. She loves art, ballet, role play game and learn in general. We are looking for a reliable girl/lady who is good with kids, having experience working as childcare and English teacher. The host mum is about to deliver (end of December) so, we need help in some house chores. Helping maximum 2 hours in the morning and 3 hours in the afternoon after 2 pm. Schedule changes depending of kids' extra school activities. 2 days off and maximum 5 hours a day. Good guests doimg the job as required will be compensated with small pocket money. Meals can be done together, in this case, preparation and kitchen cleaning is a shared job. Or you can decide to cook by yourself. We are new to this program but we've been hosting more than 13 people within 3 years now through other channels. We always appreciate to skype and talk about details un order to make sure that everything is clear. The host mum can talk French and Spanish too! One private room with a bed for two people. We'll prepare lunch and dinner but we share setting/clearing table and tidying/cleaning kitchen or you can prepare by yourself. Money will be given in case of extra hours during the week (so, more than 25) or in case we see the volunteer is hard working and doing greatly her job.